The Brooks Shopping Centre is the only shopping centre located in the heart of Winchester town centre and can be easily accessed via train, bus or alternatively by car using one of the 350 car parking spaces available within the basement car park. 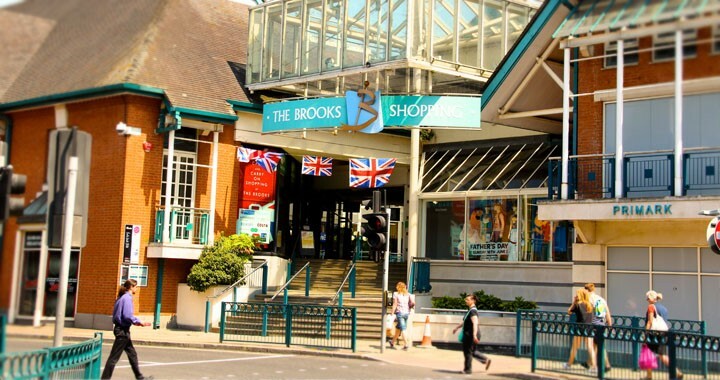 First opened in 1990, The Brooks Shopping Centre has over 20 shops, cafes and restaurants including a wide range of national retailers such as Primark, Waterstones and Argos the centre also has local independent retailers. The Centre is managed by managing agents Savills.